Acupuncture is a complete system of medicine that has successfully treated many common health conditions for over 2,000 years. Often misunderstood, acupuncture is a process of stimulating neurovascular nodes to regulate the flow of oxygen through the circulatory system. Matthew Hanson received his Bachelor’s degree, with honors, from St. Edward’s University in Austin, TX and continued his studies at the Texas College of Traditional Chinese Medicine (TCTCM), the first and oldest school of acupuncture and Oriental medicine in Texas, where he received his Master’s in Acupuncture and Oriental Medicine. He has had additional training in cosmetic acupuncture under Denise Ellinger, L.Ac., American Acupuncture Council approved instructor, former instructor and co-creator of Mei Zen Cosmetic Acupuncture and current instructor of the ABC’s of Cosmetic Acupuncture, as well as training with Dr. Devi S. Nambudripad M.D, D.C., L.Ac., Ph.D the creator of Nambudripad’s Allergy Elimination Techniques (NAET). A certified Diplomate in Oriental Medicine by the National Certification Commission for Acupuncture and Oriental Medicine, he is currently licensed to practice by the Texas State Board of Acupuncture Examiners, license number AC01331. Our clinic utilizes the philosophies, insights, and tools of Traditional Chinese Medicine (TCM) as a basis of healing and recovery for our patients …but what is it? Traditional Chinese Medicine is a comprehensive system of healing, with origins of the modern structure dating back thousands of years; and as such, it is able to address most health concerns commonly experienced today. Our licensed acupuncturists seek to provide you with the resources you need to reach your wellness goals, whether they be recovery from a current illness, or simply a desire to maintain your present state of vitality. Whatever health challenges come your way, we are here to help guide you along the path of longevity and wellness! WHAT ARE YOUR PRICES AND DO YOU ACCEPT INSURANCE? 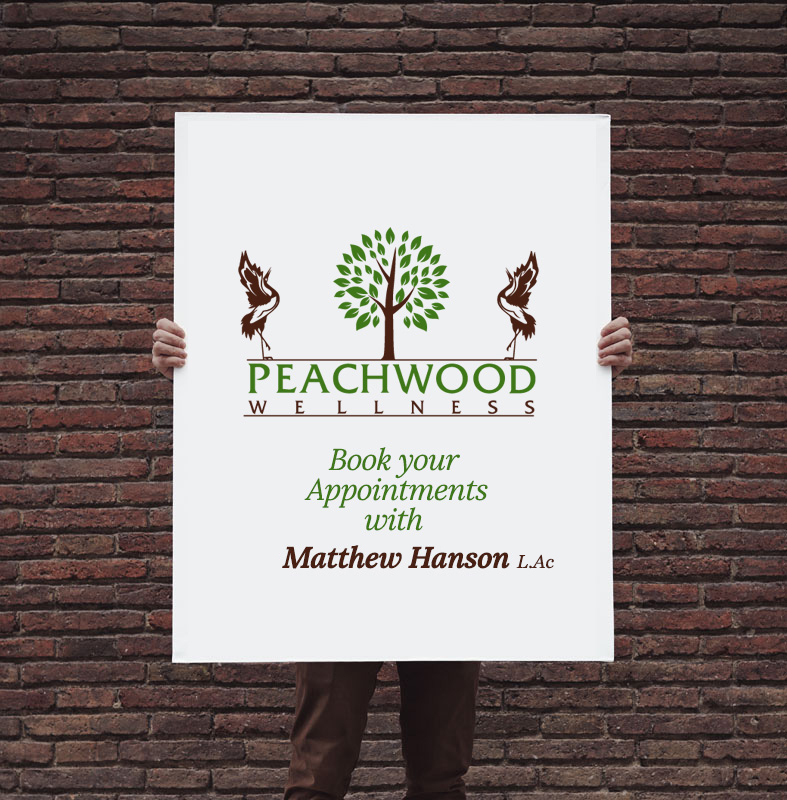 When performed by a qualified and properly licensed acupuncturist, your treatment should be very comfortable. You will usually not feel the needles at all, the most common thing to experience during a treatment is relaxation. There may be some initial feeling when the needle is inserted, but this should not be an overly uncomfortable sensation, or one that lingers. When there are sensations felt, they are most commonly described as heaviness, pressure, electrical sensations, numbness or a dull ache. While some patients who are unfamiliar with these types of feelings may be hesitant at first, the experience is very pleasant and every effort is made to ensure your comfort. Acupuncture is not like getting an injection from a syringe, being stung by a bee or being poked with a straight pin (all things I’ve heard used as descriptions), those are painful. It is a comfortable experience and one that will typically leave you feeling much better by the end. On your first visit there’s an in depth discussion with your practitioner about what brought you in for treatment, your past experiences with your health, as well as the current state of your health generally. Once the discussion is completed, the actual process of your treatment will be explained and any questions you have will be answered. Since every treatment is tailored to your individual constitution and condition it would be difficult to describe the specifics of your treatment. Generally though, you should expect a very relaxing and comfortable experience. It is best to wear loose fitting clothing that could be adjusted to allow access to the extremities. Please try your best to refrain from ingesting stimulants or depressants (coffee, alcohol, narcotics, tobacco, etc.) for 24 hours prior to and following your scheduled treatment time. For most conditions, your response will be gradual but noticeable. The number of treatments will depend on the severity of the condition and the frequency of your visits as well. Typically weekly or bi-weekly treatments are sufficient and strike a good balance between efficiency of results and cost of treatment. A general treatment course with this frequency would be from 6 to 10 treatments with a re-evaluation at the conclusion of the course. If further progress is needed we would then begin another course of 6 to 10 treatments followed by another re-evaluation, etc. With NAET treatments the timeline is slightly different. All patients clear the basic 15 (the first 15 clearances outlined in the Allergy Acoidance Lists) and then more focused treatments would be found after that time. With many common to moderately severe conditions, the basic 15 would be sufficient to reduce symptoms to the point of not being a significant daily problem and at that time the patient would decide whether to continue or not. As with all medical practices, our prices are based upon your condition, and the actual services performed, so it is difficult to give a simple answer. Generally costs are around $100 for the initial visit and $70 for follow-ups, however depending on the specifics of your case the actual cost may vary. Each condition and type of treatment has it’s own set of requirements as far as location and method of intervention. For acupuncture and NAET, it is best to wear comfortable, loose fitting clothing which allows easy access to at least the areas below the elbow and just above the knee on the extremities, and keep jewelry and makeup to a minimum. Please also be prepared to remove any wigs or hair pieces if possible. If there is a specific location which needs to be examined or treated, please make sure you dress in such a way to allow for that. For back, chest or other difficult areas, you may be asked to disrobe and would be offered either a gown and/or covered with a light blanket. For lymphatic drainage and craniosacral therapy, direct contact with the skin in necessary. Please be prepared to allow access to the face, clavicles, armpits, chest, upper and lower abdomen, inguinal area, legs and any other affected areas. Bathing attire or similar is most commonly recomended.